Trends change quickly online, and deciding when to update your website to keep up with the latest standards can be a real challenge. You want your site to look and feel fresh, and usually the most important updates relate to function. The machines that we use to access the Internet have become more powerful and diverse, so it’s important to keep your site working with all of the latest devices. Appearance matters, too. Dig up a page that’s been unchanged for five or ten years, and it’s shocking to see the difference compared to current websites. Since your website is a reflection of your business, keeping it current looks good for your priorities in the customer’s eye. But that still leaves the tricky decision of when to update your website. More people than ever are browsing on smartphones, tablets, and other mobile devices. Appealing to mobile users isn’t a luxury – it’s a necessity, in today’s online world. If it’s been a few years since your last website update, your customers might be having real trouble accessing your site from mobile devices. Responsive web design is the solution to that challenge, providing a great user experience that scales to the size of mobile screens. If your site isn’t responsive for mobile devices, then you have the perfect motivation for your next website update. Appealing to mobile users allows you to uncover new marketing opportunities, and show off your products to the most desirable demographics. Scaling is the most important part of responsiveness, because your site will be accessed from screens of all sizes. If you want customers to consume your content, it needs to fit on their screen without added effort. The popularity of mobile devices is already huge, and it’s still growing. As more people access the Internet on phones and tablets, responsiveness only becomes more vital. Responsiveness might be the big-ticket item, but there are many good reasons to consider updating your site, as outlined in this helpful post from kitsmedia. You want to deliver a positive experience for the people who visit your site, and sometimes that means taking a fresh look at how your site looks, feels, and functions. Making the right changes with a website update can boost your traffic, which ultimately means more qualified leads for your Calgary business. The regular, non-mobile web changes rapidly, too. If your site is lagging behind the latest online standards, consider an update to get it up to speed. Increasing engagement is especially important. Today’s web is filled with interactive features and multimedia, which help keep readers focused on your content. Social sharing widgets are also a must. If your traffic numbers are down or you’re having a hard time keeping people engaged, an update might be just what you need to turn things around. Your analytics should guide the way on matters related to site performance. Updating your site can also make it easier to keep up with regular maintenance. Wordpress makes it easy to add plugins and post content, giving you more control over your site. An update doesn’t have to encompass your whole website. Your blog is one area that should be updated regularly, even if that just means sticking to a regular posting schedule to build your audience. If you’re switching domain hosts, consider an update once you find a new home for your site. An update isn’t necessarily required to switch hosts, but any big event involving your website is a good opportunity to analyze your site design. Once you’ve made the move to update, it’s important to continue with regular maintenance for your site and keep your pages up to date. The little things, like how you tag blog posts, label URLs, or format links, really do make a big difference in your traffic over time. By keeping up with the latest trends and technology, you can increase traffic to your site and deliver a level of quality that will keep those new visitors coming back for more. 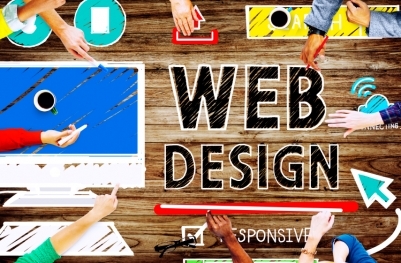 Need help planning your next website update? Emphasize Design has you covered with all of the web design and inbound marketing services you need to keep your Calgary business running strong.